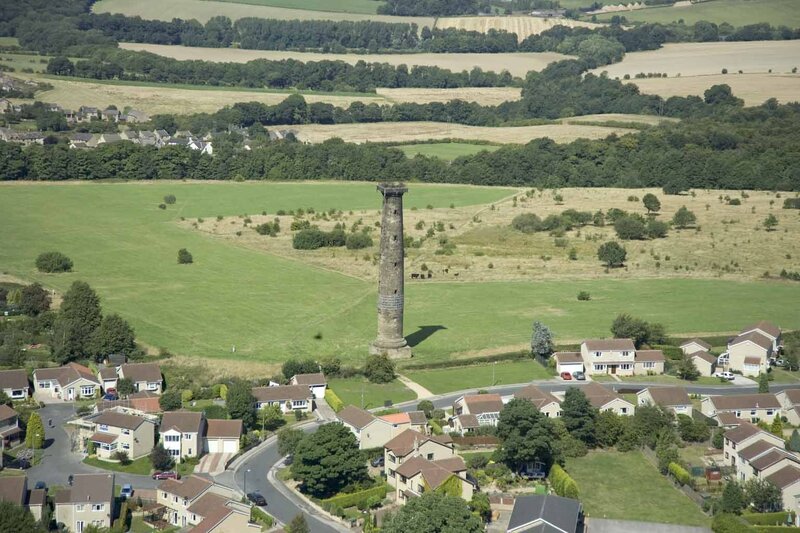 This is an ariel photograph taken last year(2004) of the folly named Keppels Column. It shows the Keppels (or Admirals) field area mostly mown with some trees that were growing back in the grazing area. Scholes Village is to the mid left, Keppels new housing estate is in the foreground. To the mid right is the corner of Scholes Coppice, the Ancient Woodland containing an Ancient double-ditch monument. In the distance to the right is the border of the Wentworth lands and the village of Nether Haugh. In the distance to the extreme left is the edge of the village of Thorpe Hesley.